The Rural Community Network is hosting a breakfast networking event with the Committee for Agriculture and Rural Development in its offices in Cookstown on 28 May 2015 (from 9.00 am until 11.30 am). The event’s question and answer session will focus on how to build better engagement between the third sector and political parties. CO3, RCN and Assembly Community Connect have organised the event and places can be booked with Sarah Boyd at CO3 (telephone 9024 5356). Today saw the launch of a new Community Participation in Planning Project to explore how communities can be more meaningfully involved in shaping public services and local places. The project will explore how communities of interest, place, practice and learning can get involved in local area planning and the new power of Community Planning. The project is a partnershIp between Ulster University, Community Places, University of Aveiro (Portugal) and Politecnico di Milano (Italy). The project will help communities, service providers and local authorities across Northern Ireland, Portugal and Italy build stronger relationships and gain a better understanding of the relationship between people and place. 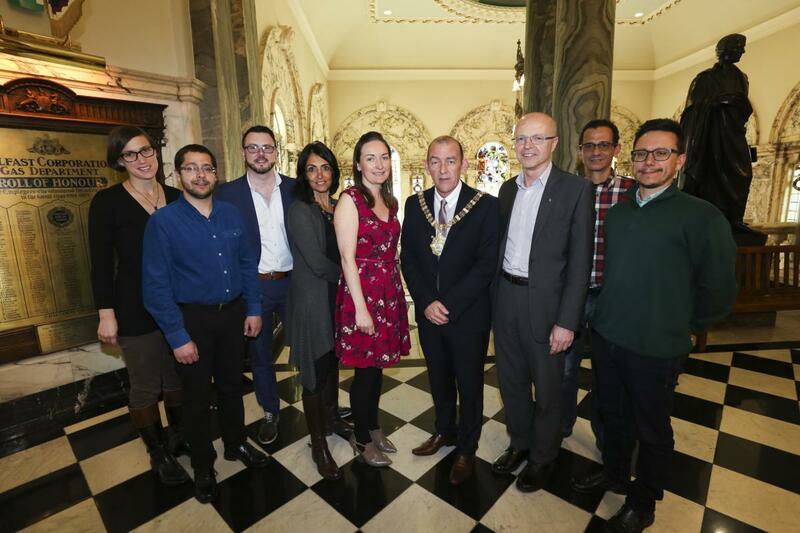 Launching the Project Belfast Lord Mayor, Cllr Arder Carson, said: “Today’s event is a great opportunity to exchange experience and learning between each of the partner countries taking part. There is much to learn from how things are done elsewhere and I am sure all participants will find this a very valuable opportunity. Please contact us (9023 9444) if you would like to more information on the project. Residents living beside an industrial steelworks site in the countryside have welcomed the decision that the expansion of the site is unauthorised and must cease. The Planning Appeals Commission issued its decision following detailed arguments presented by the residents with the support of Community Places. Louise O’Kane, planner with Community Places, said “this is an important decision for the local residents and sets a precedent for how industrial development in the countryside should be properly planned and managed”. The site in question is in the townland of Tievenagh near Dungannon and full details of the case can be found here. The Rural Community Network is delivering and co-ordinating Village SOS, a campaign that aims to help and inspire rural communities across the region to start or develop projects and/or social enterprises by providing mentoring and practical support across a wide range of areas. The formal launch of Village SOS will take place on Thursday, 26 March 2015 (from 12.30 pm to 2.30 pm) in An Carn Conference Centre, Tirkane, Maghera. The Department of Agriculture and Rural Development is running a public consultation exercise from 3 February to 16 March 2015 on proposals for a Rural Proofing Bill. The proposed Bill would require policy makers to assess whether proposed policy is likely to have a different impact in rural areas compared with elsewhere. It will support the equitable treatment of rural dwellers by requiring their needs and the impact on rural communities to be appropriately addressed in the development and delivery of policy and public services. The consultation documents can be accessed on DARD's website. To register to attend, or for more information, email: rural.proofing@dardni.gov.uk or telephone 028 9052 4106.